This year I will be one of the speakers at the Kerning Conference. On June 5th and 6th (only workshops) and 7th (conference day) 2019 we will gather in Faenza, in the very heart of Italy, top notch speakers from the whole world of digital and web typography to create an unique event. 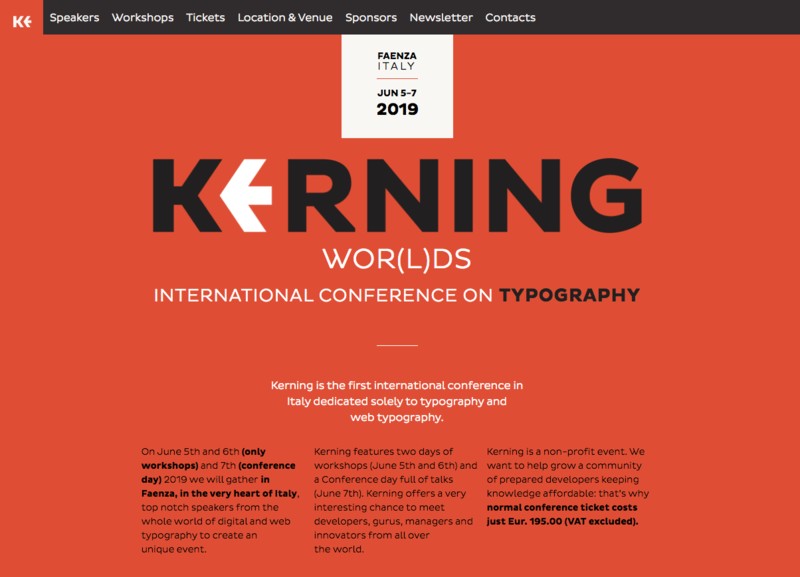 Kerning features two days of workshops (June 5th and 6th) and a Conference day full of talks (June 7th). Kerning offers a very interesting chance to meet developers, gurus, managers and innovators from all over the world. Kerning is a non-profit event. We want to help grow a community of prepared developers keeping knowledge affordable.